The TN visa is a powerful non-immigrant visa classification available to citizens of Canada and Mexico. With a TN visa, you can live and work in the USA for extended periods of time. In this guide, I will go over the information you need to know about the TN visa. 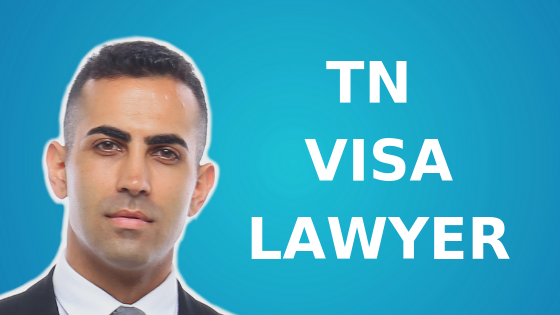 If you have any questions about the TN visa or if you need help with your TN visa application, please feel free to email me directly at Michael@AshooriLaw.com. I’m highly responsive via email and I would be happy to help you. 2. What are the Benefits of a TN Visa? 3. What are the TN Visa Requirements? 4. What Documents Are Needed to Apply for a TN Visa? 5. What is the Process to Get a TN Visa? The TN Visa is a non-immigrant visa classification available to citizens of Canada and Mexico. With a TN Visa, you can live and work in the United States for extended periods of time. The TN classification permits you to work in the USA for up to 3 years initially, and can be extended over and over without limit. To qualify for a TN visa, you must work in the USA in one of the professions on the list of TN occupations (these professions are listed down below). You must also satisfy the educational standards and credentials required for the profession you will work in. TN stands for Trade NAFTA. The TN visa is based on the North American Free Trade Agreement (NAFTA) Treaty. With a TN visa, your spouse and children are eligible for TD status. With TD status your spouse and children cannot work but they can go to school. With a TN visa, you can work in a profession listed on the TN Occupation List. You must meet the education and experience requirements of that profession. The TN gives you up to 3 years of status in the United States, and can be extended over and over with no limit. With a TN visa, you can initially stay in the USA for up to 3 years. There is also no limit to the number of times you can extend your TN status. So through the TN classification, you may be eligible to lawfully live and work in the USA for several years. Unlike the H1B visa, there is no quota for the TN visa. A Labor Certification certifies that the US employer was unable to find a suitable US worker to fill the position that they are hiring you for. The process of getting an approved Labor Certification can be very timely. To get a TN visa, your US employer does not need to get an approved Labor Certification. They can skip this process and just offer you a job. Canadians are not required to get a TN Visa. Instead, they can apply for TN classification directly at a US Port of Entry (we will discuss this in more detail down below). With a TN visa, your spouse and children may also be eligible for TD classification. With TD classification, they cannot work in the US but they can go to US schools. The TN is eligible for Premium Processing. Premium Processing is a service offered by USCIS where USCIS will answer your petition in 15 days or less, for an additional fee of $1,225. To qualify for a TN visa, you must be a citizen of either Canada or Mexico. Permanent residents of Canada and Mexico do not qualify for a TN visa. To qualify for a TN visa, you must have a job offer to work in the USA. The TN visa does not allow for self-employment and does not allow you to start a business in the USA and work for that business. You cannot qualify for a TN visa by working for a company that you are the sole owner of or the controlling shareholder of. To qualify for a TN visa, your job must be listed on the TN Occupation List. The TN classification does not allow for all types of work. Your job in the United States must fit into one of the professions listed. In order to qualify for a TN visa, you must satisfy the educational and professional requirements of the US job. You can see the educational and professional requirements for each of the TN occupations listed above. Most of the occupations require a Baccalaureate or Licenciatura Degree. A 3 year degree can qualify as a baccalaureate. It does not have to be a 4 year degree. Your degree should be in the field of your intended TN occupation or in a related field. If your degree, certificate, or diploma is earned outside the US, Canada, or Mexico you must also submit a credentials evaluation proving that your degree, certificate, or diploma is equivalent to a Mexican, Canadian, or US degree, certificate, or diploma. For various occupations listed above, a state or provincial license can qualify instead of a degree. To qualify for a TN visa, you must have non-immigrant intent. Specifically, the TN permits “temporary entry” to the United States. To satisfy this requirement, you must demonstrate that you will intend to leave the United States upon completion of your TN assignment. Your non-immigrant intent will be analyzed at the time your petition is reviewed , upon applying for your TN visa, and upon entry to the United States. To demonstrate that you have non-immigrant intent, you should show that your US assignment is temporary and has a predictable end date. If possible, you should provide evidence that you have a foreign residence abroad and that you plan to maintain that foreign residence. You should also provide evidence showing that you have strong ties to your foreign residence. Evidence showing strong ties to your foreign residence includes: a mortgage in your name for a foreign residence, foreign bank accounts, bills addressed to your foreign residence, a job offer to resume work in your home country upon completion of your TN assignment, etc. Although your are required to have non-immigrant intent, this does not mean that your are prohibited from applying for a green card in the future. Your non-immigrant intent is considered at the time of your application, visa issuance, and entry to the United States. If sometime in the future, you decide to apply for a green card, this may still be permitted. This is a highly technical area of immigration law and should be handled by an immigration lawyer to ensure that it is done properly. Feel free to email me directly at Michael@AshooriLaw.com if you would like to discuss this further. The evidence and documentation that you submit with your TN application are extremely important for getting approved. Many of the documents you submit will depend on your unique credentials, available documents, etc. One of the most important pieces of evidence for your TN petition is the support letter from your US employer. Your employer may wish to have a separate employment contract in addition to the support letter. You will need to provide documents evidencing your non-immigrant intent. These documents should ideally show strong ties to your home country. The process for getting TN classification is different for Mexican and Canadian citizens. To highlight the main differences, Canadian citizens do not need to apply for a TN visa. Instead, Canadian citizens can apply for TN status directly at a United States Port of Entry. Conversely, Mexican citizens must apply for a TN visa at a US Consulate before entering the US. Additionally, Canadian citizens have the option of filing an initial TN petition with USCIS and getting their TN pre-approved before seeking admission through a Port of Entry. Mexican citizens are not eligible to file an initial TN petition with USCIS. Instead, they must apply for a TN visa directly through a US Consulate. Canadian citizens have 2 options for getting TN classification. Canadian citizens are not required to file a petition or application to get a TN visa. No form is required. In addition, Canadians are, for the most part, exempt from needing a visa to enter the United States. At the port of entry, a Customs and Border Protection officer will analyze your evidence. The officer will likely ask questions regarding your planned job duties, professional background, etc. If you satisfy the TN requirements and pass the interview, they will admit you into the US and grant you TN classification. If a Canadian citizen wants to, they may submit a petition through USCIS to get pre-approved for TN classification. Specifically, the US employer will file a Form I-129 through USCIS on behalf of the TN worker. The US employer is the petitioner and the TN worker is the beneficiary. In addition to the I-129, the US employer must also complete the TN supplement to the I-129. Once the I-129 is approved, the TN worker can then take the approval notice, along with their Canadian passport and the complete I-129 along with all the supporting documents, to a United States port of entry. At the port of entry, a Customs and Border Protection officer will review your documents and may ask questions regarding your TN petition. Just because your I-129 was approved does not guarantee that you will get approved for TN classification. You should still be ready to answer questions about your planned job duties, qualifications, etc. However, having your petition approved through USCIS should improve your chances of getting approved at the port of entry. If you submit an I-129 through USCIS, you are not required to pay the $50 processing fee at the United States port of entry. Unlike Canadian citizens, Mexican citizens are required to apply for and receive a TN visa prior to entering the United States as a TN worker. Mexican citizens are not permitted to apply for TN classification at a United States port of entry without first getting a TN visa. Also, Mexican citizens are not permitted to file a Form I-129 thorough USCIS to get pre-approved for initial TN classification. Instead, Mexican citizens must apply for a TN visa directly at a US Consulate abroad. To do this, a TN worker must first complete and submit a Form DS-160 Non-Immigrant Visa Application Form online. The TN worker must then schedule a visa appointment at the US Consulate. The TN visa fee is $160. At the visa interview, you will likely be asked questions about your planned job duties in the United States, your qualifications, and similar questions. Once you are approved, you will be issued a TN visa. Following TN visa issuance, a TN worker must then seek TN classification at a US port of entry. The customs and border protection officer at the US port of entry will likely not re-adjudicate your TN petition. However, they may still ask you some general questions. Citizens of Canada and Mexico may also choose to do a Change of Status. A change of status is when you go change from one non-immigrant status to another non-immigrant status. In order to do a change you status, you must be lawfully present in the US in some valid non-immigrant status. You must also file a Form I-129 while you are present in the US. One of the questions that I get asked quite often is whether a TN worker can go from TN visa to green card. The answer is YES. The TN visa is a non-immigrant visa classification so it does not directly lead to a green card. To go from TN visa to green card you can either apply for an adjustment of status or apply for an immigrant visa abroad. An adjustment of status is when you go from non-immigrant classification to immigrant classification. The entire process can be done within the USA without the need to go abroad. In order to do an adjustment of status, you must be lawfully present in the United States at the time the adjustment of status petition is filed. To do an adjustment of status, you must file a Form I-485 with USCIS. Applying for an immigrant visa is different from doing an adjustment of status. Applying for an immigrant visa must be done at a US Consulate abroad. This process also requires you to undergo an visa interview at the US Consulate. Regardless of whether you do an adjustment of status or apply for an immigrant visa, you will likely have to get approved for an immigrant classification by filing a Form I-140 with USCIS. As a TN professional, one of the most common ways of going from TN visa to green card is by having your US company sponsor you for a green card through a job offer. In order to sponsor you for a green card through a job offer, the US company must apply for and get approved for a Labor Certification. A Labor Certification is issued by the Department of Labor. To get a Labor Certification, the US company must show that it made efforts to secure a qualified US worker for the position but were unable to find a qualified US worker. Once the Labor Certification is approved, the US company is eligible to sponsor you for a green card. Very Important Note: The TN classification requires that you must have non-immigrant intent. Getting approved for an immigrant petition can potentially conflict with the requirement to have non-immigrant intent. As you can imagine, an approval for an immigrant petition can be seen as clear evidence of immigrant intent. It is highly important to work with a qualified immigration lawyer, through the entire process of going from TN visa to green card. Working with a qualified immigration lawyer can help make sure that you do not violate the requirement to have non-immigrant intent. An immigration lawyer can help to make sure that the transition from TN visa to green card goes smoothly. If you need help going from TN visa to green card, please email me directly at Michael@AshooriLaw.com. I would be happy to guide you through the process. By reading this guide, you are now in a much better position to understand the TN visa from start to finish. This is a lot of information to cover and much of it is highly specialized and complex. If you have any questions about the TN visa, or if you would like help getting a TN visa, email me at Michael@AshooriLaw.com. I’m very responsive and would be happy to help you. 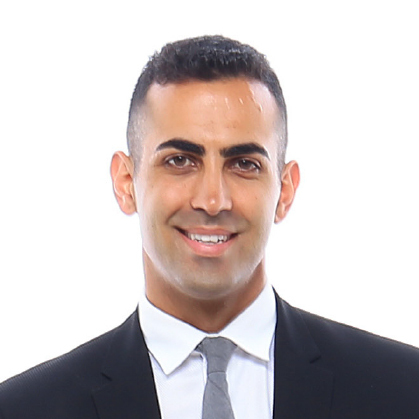 Ashoori Law is a Los Angeles based immigration law firm. We help professionals from all across the globe with their immigration needs.